Hello lovelies :) I ADORE bad boys, so I'm excited to be part of the Bad Boy Rehab hop hosted by I Am a Reader, Not a Writer and The Book Hookup! If you already have the book pictured blow and it's part of a series, you can choose one of the sequels instead. One entry per person/household. Cheaters will be disqualified. I check every single entry before picking a winner. Good luck, and don't forget to hop along and check out the almost 100 other blogs participating! Noah from Pushing the Limits, Daemon from the Lux series, Adrian from VA/Bloodlines! Awesome giveaway. ..my favorite bad boy would be Noah from pushing the limits. And it's also the book I would choose. .cause I need to have that book in my life. Warner from Unravel me, Noah from Unbecoming of Mara Dyer. I would pick Pushing the Limits. Thanks! I love Noah from Pushing the Limits and Travis from Beautiful Disaster! I like Daemon. Since I already have The Vincent Boys I would go with The Vincent Brothers. I am currently crushing on Phoenix from EMBRACE. RAWR. 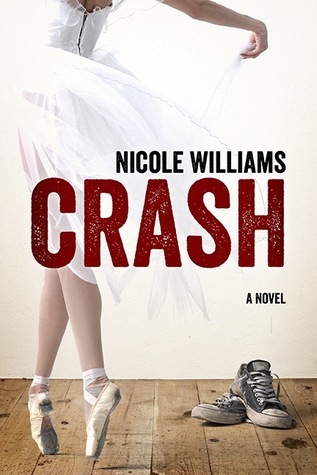 I'd love to get my hands on CRASH! I've heard it's uh-mazing. I am into Warner from Shatter Me by Tahera Mafi. I would chose Ella and Micha. I will always love Marcus Flutie from the Jessica Darling series. 1. Acheron from Dark Hunter series. 2. Dimitri from Vampire Academy series. 3. Bones from Night Huntress series. 4. Rush from Fallen Too Far series. 5. Adrian from Bloodlines series. I'd love to try reading Sweet Evil! 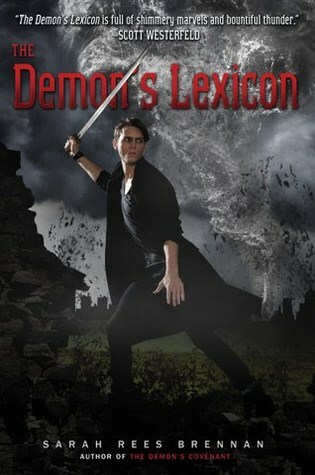 I loved Nick from Demon Lexicon series. I think I'd pick PUSHING THE LIMIT. Thank you. Thank you for the giveaway, my favorite is Adrian from Vampire Academy, I´d probably choose Pushing the Limits. Oh bad boys... sigh. I love Damon from Vampire Diaries, and my all-time favorite is Rhett Buttler! If I won I'd choose Clockwork Angel, thanks for the great giveaway! I still haven't read the Vincent Boys! I ordered Fallen Too Far today so I'm getting excited about reading all of Abbi's books! I would love to win Sweet Evil! Sweet Evil or pushing the limits I think! I love Roarke from the In Death series! Gabriel Merrick from Brigid Kemmerer's Elemental series is my favorite bad boy. :) I'd choose White Cat! Warner from Shatter Me. I'd choose Sweet Evil. will always love Marcus Flutie from the Jessica Darling series. Patch from Hush Hush :) I'd pick Clockwork Angel, thanks for the giveaway! I love Bones from Night Huntress, Cam from Fallen, Daemon from Obsidian and many more! I'd probably pick The Vincent Boys or White Cat. From the list above, I will pick Sweet Evil. Travis Maddox from Beautiful Disaster is my favorite bad boy. Thanks for the giveaway! Noah from Pushing the Limits, Dimitri from Vampire Academy, Raffe from Angelfall.. I would probably choose Easy. Noah (Pushing the Limits), Daemon (Lux), Kaidan (Sweet Evil). Thanks for the giveaway! I would choose Clockwork Angel because I like bad boy Will! Adrian from VA is definitely one of my faves, and for books I'd probably have to choose the Cassandra Clare one. Kellan Kyle, Travis Maddox, Beau Vincent! I would choose The Vincent Brothers! I like Travis and Noah! Love Daemon from the Lux series! Daemon Black is my favorite bad boy and I think I'd choose Sweet Evil out of all those books. If I win I'd love to have Easy... :) I love plenty of bad boys: Kellan Kyle, Will Herondale, Jace Wayland, Sawyer Vincent....etc. I will pick Easy by Tammara Webber!! But Bad boy I like is Lucas from Easy. It'll be Travis from Beautiful Disaster and Alex of the Perfect Chemistry series. I'd choose either Pushing the Limits or Easy! Thanks for the opportunity! I would pick the Vincent Boys. I have been wanting to read this! My favorite bad boy is Lestat from Vampire Chronicles by Anne Rice. my fave is daemon black from lux series..
My favorite bad-boy is Noah from Pushing the Limits! I think I would choose Clockwork Angel. Four, Kaiden, Adrian...I would probably pick CLockwork Angel! I love gabriel from spark by brigid kemmerer, and I would love to win sweet evil! Thanks so much! I would pick Daemon from the Lux series! Thanks for this amazing giveaway - I would love to win and choose Red Glove (Curse Workers, #2) or Clockwork Prince (The Infernal Devices, #2)! I would pick Sweet Evil. Thank you for the giveaway! I'd pick Easy :) I love Noah Shaw from the Mara Dyer series. Thank you! My favorite bad boy is Noah from Pushing the Limits. I'd choose The Vincent Boys. I recently read Shatter Me and I totally swooned over Warner =D I also really loved Morpheus from Shatter Me. I'd Choose Crash I think! I like Adrian from VA. I might pick Sweet Evil. Thanks for the giveaway. I have so many favorites like Kaidan from Sweet Evil or Daemon from the Lux series. I'd pick The Vincent Boys! Thank you so much for the giveaway! Since I just read Pushing the Limits, I will go with Noah as a favorite bad boys. If I were to win, I would probably pick Crash. Alex from Perfect Chemistry and I'd pick Easy! Kaidan from Sweet Evil is my favorite bad boy!! And Lucas from the Shadow Falls series too! I would pick a pre-order of Sweet Peril if possible. 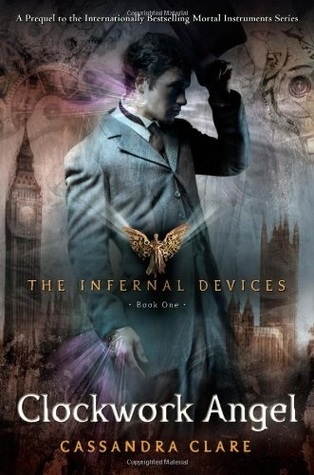 If not I would like Clockwork Angel. Thank you for the giveaway!! My favorites are Jude Ryder and Will Herondale. I'd choose Sweet Evil. Thanks! My favorite bad boys are Daemon Black from Lux series and Kaidan Rowe from Sweet Evil. My favourite bad boy is any boy from the Dark Hunter Series (mainly Ash). My favorite ones are Jace from Mortal Instruments and Patch from Hush, Hush. Noah Shaw from the Mara Dyer trilogy. I would probably choose Sweet Evil. Probably Tobias from Divergent. I'm not sure which book I'd choose, I would love any of them! Some of my favorite bad boys are Four and Noah Shaw. Fav bad boy- whatever I'm currently reading, which changes often as I'm a fast reader. Book most likely to pick- probably Clockwork Angel or Demon's Lexicon. Kaidan from Sweet Evil. I think I'll go with Clockwork Angel. My favorite bad boy is Barrons from the Fever series! Adrian Ivashkov from the Vampire Academy and Bloodlines series by Richelle Mead. I would choose Sweet Evil or Pushing the Limits.Thanks for the giveaway! I like Noah from Pushing the Limits. If I win I'll choose Sweet Evil. Thank you for the giveaway! I'd choose Sweet Evil. My fave bad boy is Damon Salvatore. I would pick White Cat or Sweet Evil! Easy, Pushing the Limits, Crash....I think I could keep going and list them. Thank you for the giveaway. Richard Zeeman from Anita Blake, the vampire hunter. My favorite bad boy is Cole from The Wolves of Mercy Falls series. :] And I'd choose Pushing The Limits. I love Carlos from Rules of attraction. I would probably pick Easy if I won. My favorite bad boys are Cole St. Clair from the Wolves of Mercy Falls series, and Adrian from VA/Bloodlines. I'd probably pick Sweet Evil or White Cat and there are sooo many good bad boys out there!!! I have way to many to name! Sykes from Betrayed by Ednah Walters. Sweet Evil or Pushing the Limits look great. 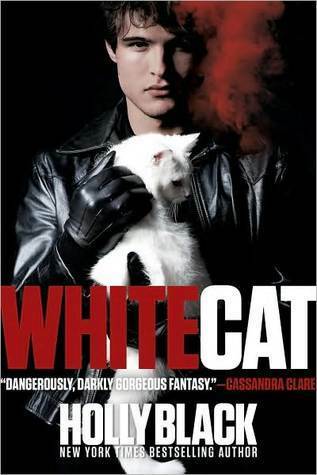 First I would choose Easy, White Cat or Sweet Evil...I think and as for Bad Boys, I love Eric Northman from the Southern Vampire aka Sookie Stackhouse books. I think I'd choose Sweet Evil... Though I'm torn! I haven't really got one (yet). I think I'd pick either Easy or Clockwork Angel. I'd choose Easy or Pushing The Limits! I'd choose The Vincent Boys or Easy. I think I would choose between the Clockwork Angel or The Demon's Lexicon. Those two books sound really good! This really is a hard choice!! There are quite a few I totally love! But since I recently finished Poison Princess and I have to pick Jack Deveaux ! WOW! What a man! And right now I’m reading the Lux series and I’m on book 2, so I have to say Daemon Black to! WOW! Thank you for being a part of this fun and awesome blog hop!! White Cat/Black Cat has my attention! I love Dimitri from V.A. A bad boy (or bad men) I love is Dimitri from Vampire Academy! Dimitri and Adrian from Vampire Academy. I would choose The Demon's Lexicon or White Cat. Thanks for the awesome chance! Ronan from The Raven Boys is a favorite, as well as The Darkling from The Grisha Trilogy. I think I'd go for Sweet Evil, since I haven't read it yet. My favorite is Jude from Crash. I'd love to win The Vincent Boys. I'd pick Crash! My favorite bad boy is Travis from Beautiful Disaster! I love Four from Divergent. I would probably pick White Cat. I loved Daemon in the Lux series, I would probably choose Easy or The Vincent Boys. Thanks for the giveaway! I have so many favorites I like Adrian from VA and Bloodlines! My book pick would be Sweet Evil heard so much about it! You forgot about Daemon. If you haven't read Obsidian yet you should give it a try. But from the above list I would choose Sweet Evil. Thank you for the giveaway. I've heard so much about Sweet Evil so I would choose it. I have this thing for Christian Ozera from the Vampire Academy series, every one else says Adrian, just because he drinks, but honestly, if there is a 'bad boy' in the series who is really 'it' then its Christian. I like Noah from Pushing the Limits. I would probably choose Easy. I don't normally crush on bad boys! I tend to go for the sweet good guys. I'm not sure which book I would pick either - there are such great choices!